Hemel Hempstead is part of the Greater London urban area, with all the advantages of being close to the capital, but with the additional benefit of being surrounded by the Hertfordshire countryside and skirted by the Grand Union Canal which has become a playground for boaters, walkers and cyclists. Hemel Hempstead has good road links to the M25 and the M1. One of the best things about renting an Abodebed serviced apartment is that you will have a free parking space so you don’t have to worry about what to do with the car. And one of the most interesting things about driving to one of our apartment is that you’ll have to negotiate the Plough Roundabout – also known as the Magic Roundabout! There are regular trains to and from London Euston via Watford Junction, with a journey time of around half an hour. Wembley is only 20 mins away by train. Direct trains from Hemel Hempstead go to Milton Keynes, Coventry and on to Birmingham. For timetables, check the National Rail website. Our serviced apartments are only a couple of minutes walk away from the bus stops at Riverside Shopping Centre. There are direct routes from here to the railway station which will only take around 5 minutes, and further afield to St Albans, Aylesbury or Watford. Buses are run by Aviva Buses – check their website for timetables. 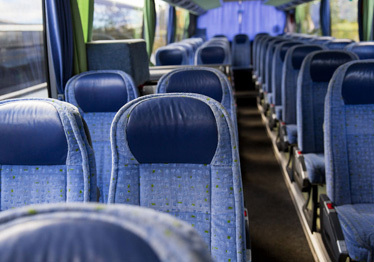 National Express has direct coach routes from Hemel Hempstead to Luton Airport, Stansted Airport, Heathrow Airport, Gatwick Airport as well as Oxford, Cambridge, and Milton Keynes. Check the timetables on the National Express website. If you like walking – or you need to ‘feed’ your FitBit – most of the attractions in Hemel Hempstead are less than a mile away from our serviced apartments, including the railway station, the Snow Centre, the Old Town and the southern end of Gadebridge Park. If you are thinking of visiting Hemel Hempstead, check out our serviced apartments which are conveniently situated in the centre of the town with a dedicated parking space and excellent transport links by road and public transport.